In every other house we’ve lived, our master bedroom had pretty much fallen to the bottom of the priority list. We would only hang pictures on the walls to stage the house to sell. Our bedrooms always looked SO GOOD at that point, and then we had to leave them! Well, thanks to the previous owners, the master bedroom in THIS house is way up at the top of the priority list. 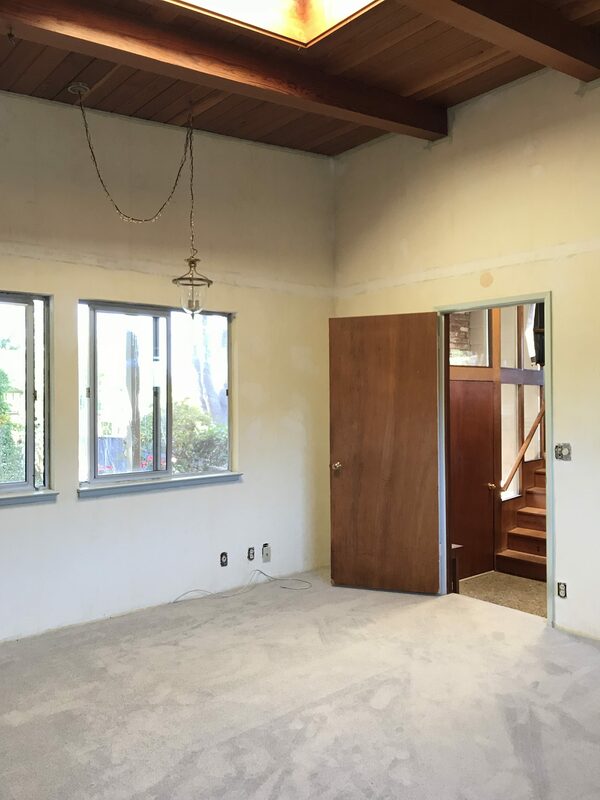 You see, the master bedroom, master bathroom (yes, I’m serious…) and main level had old teal carpet throughout. Before we treated the house for termite (pretty much every house needs this when it’s sold) we wanted to rip out the carpet, so it wouldn’t soak up all the pesticides. We just painted the subfloor and threw down rugs in the main living area, since we’ll be doing a major remodel of the kitchen and walls in there. But, we decided to put down new carpet in our bedroom. Before the carpet install, however, we needed to remove the wallpaper in that room and the master bathroom. Check out the glory of the early-to-mid-nineties pastel flowers in that wallpaper. This wallpaper removal may be the worst home project I have every embarked on. Turns out, before they installed the wallpaper back in the 90s, the walls were skim coated to create a flat surface for the paper to adhere to. They didn’t prime the skim coat, and the finish was really wavy and subpar – because who needs to be perfect when you’re just going to wall paper over it? There was obviously no plan to EVER remove that paper. I literally had to soak each panel 2-3 times, then scrape the paper off in 3 inch strips. We also had to spend a couple extra days fixing the drywall to try to even out the previous ski coat. We had to do at least three applications of dry wall spackle. I never want to sand another thing as long as I live. 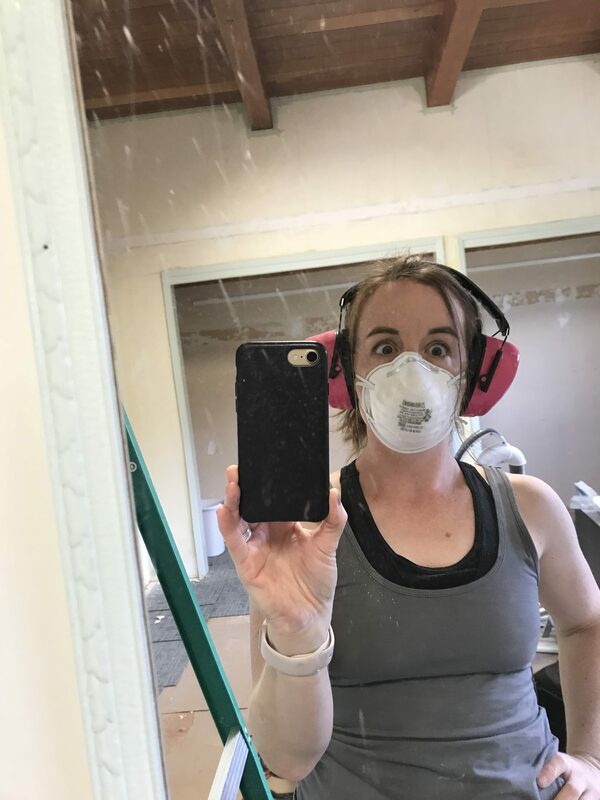 That’s me in the middle of fixing and sanding all the dry wall…I don’t know that I’ll ever recover. Anyway, the carpet was installed last week and I love it! I was going for a concrete look, and I think I got as close as I can to that goal. The walls are prepped and ready for paint, which we started last weekend. I’m so excited for this room to be put together. Since we had to remove the California Closet system in our closet in order to install the carpet, we haven’t been able to fully unpack our clothes. It will be SO GOOD to get rid of some boxes and be able to focus on getting the rest of the house set up. I want this room to feel like a retreat. Simple, clean, and relaxing. No visual clutter. I want the eye to be drawn to the ceilings and the gorgeous views of nature out the windows. The room has incredible light all day long, thanks to big windows and a sky light. These are a few of the inspiration pics I’ve run across – clean lines, neutral colors, with warmth coming from wood tones and textiles. Stay tuned to see if I can pull it off…I’m currently in that limbo of trying to choose the perfect white paint. Why are there so many colors of white???!! Or maybe I go dark on one wall? Or the entire room? Hopefully I’ll have pictures of a mostly finished room ready to share next week. Fingers crossed! Can’t wait to see the finished room!!! I’m also curious to see what bed you choose/have. I’ve been in the market for a platform bed for awhile. I love the idea of an uncluttered retreat! 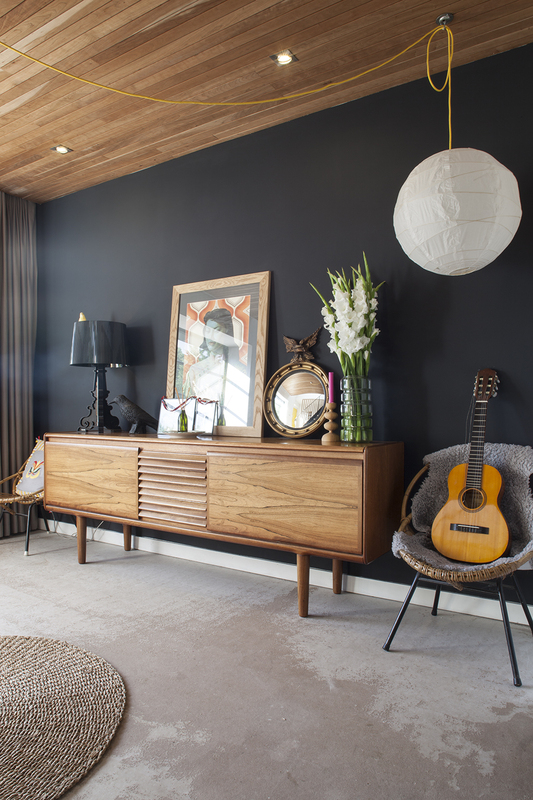 I am currently visiting Cheryl, my son and grandkids and will say that the bedroom project is sensational. 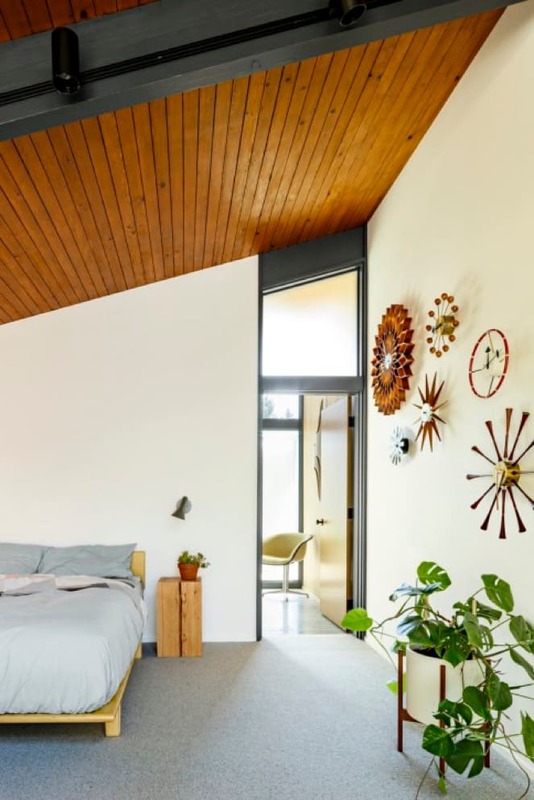 The rest of the house has wonderful possibilities and I’m anxious to see how Cheryl will transform neglected mid-century home into a California dream house.